In the past, I have written about how cleansing Parkinson’s toxins from the body is like scraping algae from the walls of the pool — a lot of toxic material is floating around and making you feel poorly prior to it being flushed from the body. What has not been discussed in the past is how this process zaps the body’s energy leading to fatigue. This is an important point to understand in order to fight the fatigue and fight the fear that you are getting worse…you may be feeling a little worse, but you are getting better. “Recently, I have gotten feedback from a couple of people who I am coaching with the recipe for recovery, and their chief complaint is that in the last week or so the Qigong has gotten harder to do, not easier, particularly the Medical Qigong for the Liver. They are feeling worse, not better. They are questioning whether they are on the right path. I firmly believe that Parkinson’s pollutes our bodies and that is why I am so focused on the liver…getting the toxins cleaned out. It is a double edged sword — first you have to break up the toxins, which causes them to release into your system, and then you flush them out, primarily with respiration, perspiration and urine, not primarily from bowels, so make certain you are drinking enough water. Quite frankly, this is one of the hardest parts because when you are succeeding in breaking down the toxins, you feel the worst of it because of how much toxicity is floating around in your system. This is where many people want to quit because they feel so poorly. This is where you have to be strong and have faith that what you are doing is correct. I know, this is contrary to everything we learn in life. Here, the better you are doing at breaking up toxins, the worse you feel, but then you get better. 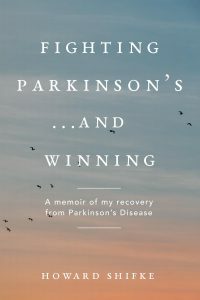 It is why I did not feel better for nearly the entire time I had Parkinson’s, and then when I started feeling better, 2 weeks later, I was better. Today, we take this to the next level and look at what this does to your energy. Because it is a hot summer, I am going to go back to the pool to begin this part of the analysis. When the water looks clear and the algae is stuck to the walls of the pool, how hard are the pool pump and pool filter working? Hardly at all — there is nothing toxic or polluted in the water, so they are on low and using very little energy. Once you scrape every wall in the pool and the water is completely cloudy with toxins and pollutants, how hard are the pool pump and pool filter working? Very hard, and overtime! They are turned up to their maximum power and do not relax until the pool is clear again. Let’s apply this to your Parkinson’s body. When you first start doing the Qigong, particularly Medical Qigong for Liver, initially many people report an energy boost, bowel function improvement, and return of sense of smell. This is because you are cleaning toxins already floating around in your body, so you get an initial positive impact. However, as you work harder at the Qigong in the Recipe for Recovery, you start to get into the deeper parts of the toxicity in your body (like scraping the algae off of the walls in the pool), and you put a load of new toxins into the mainstream of your body. Much like the pool pump and pool filter, your body then must devote a large amount of energy to getting the toxins cleansed from your body. Since your Parkinson’s brain already is low on energy, and since you have been so successful in pulling these toxins out into the mainstream of your body, you suffer slower movement and sometimes fatigue, and the Qigong becomes a bit harder to do — your body is prioritizing the use of its energy, and priority number one is not your tremors or rigidity or slowness…priority number one is eliminating the toxins from your body. This results in your symptoms appearing worse. However, you are not getting worse. It is just a shifting of energy to a higher priority. There is nothing to be afraid of. You are getting better, and continuing the Qigong assists your body in cleansing the toxins more effectively. As I have mentioned before, when we fight Parkinson’s, it fights us back. When we are diligent with the Recipe for Recovery and we have been feeling like we are making progress, it is a blow to our faith to suddenly feel like we are physically going backwards. Parkinson’s tests our faith. Parkinson’s tests our resolve. Parkinson’s tests us to the core of our being. And we fight back. We start at the core of our being and chip away at Parkinson’s day after day after day until we recover. We have to be strong and we cannot lose faith in ourselves. “You have the power to heal yourself.” Marie did. Pratima did. And you are. “Together we have the power to heal the world.” Yes we do. And we are. Focus on what you are doing in the moment with the Recipe for Recovery, and have faith in yourself and your recovery. WOW! I just realised I haven’t been drinking enough water to let my body finish doing its job. Thank you Bhai again. this helps. I am sure drinking water will not only keep me from getting dehydrated (its very hot in Atlanta) but it will help the body get rid of the toxins. Yes! we have the power to heal ourselves and the world. I know i have the power to heal myself. I just need to stay on track and do what needs to be done without waiting for immediate results specially since my body has taken a beating for so long. Good luck all. It was never meant to be a quick and easy recipe for recovery. You are welcome, Dipti. I am happy you are doing well. Oh, yes, Laurie. The fresh citrus juice is just fine. It is good to see you are keeping up on your water intake. Howard, as usual you sent this information very timely since I am experiencing the Qigong getting harder to do especially the Medical Qigong for the Liver although I have not had any improvement in my sense of smell. Thanks Howard this information makes me feel better. Thank you for your comment. Here is something to read regarding what you are experiencing with the Medical Qigong for Liver, http://www.fightingparkinsonsdrugfree.com/2011/04/12/fighting-parkinsons-and-fatigue/. I hope this will assist you in pressing ahead. Dear sir, I fully agree with u.